Acclaimed filmmaker Michel Gondry is a big name in the music industry thanks to his eye-grabbing music videos, and now one of his previous video subjects is helping him out with a new film score. 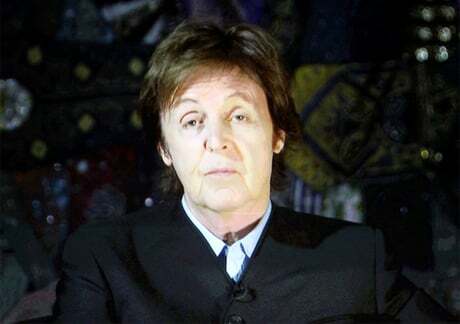 Beatles legend Paul McCartney — with whom Gondry worked on the clip for 2007's "Dance Tonight" — has contributed bass to the soundtrack of the director's forthcoming flick, Mood Indigo. According to a report from RTL [via The Playlist], the score is by Étienne Charry, with whom Gondry previously played in the band Oui Oui. McCartney reportedly stopped by to perform on at least two instrumental tracks. Veteran chanteuse France Gall also contributed a song. Mood Indigo will premiere in France and Belgium on April 24, but there's no word as to when it will receive a North American release. It stars Amélie actress Audrey Tautou, and IMDB summarizes it as being about "a woman [suffering] from an unusual illness caused by a flower growing in her lungs." Watch the video for "Dance Tonight" below.